A range of wheels suitable for trucks and trolleys, as wheelbarrow wheels, puncture proof wheels, cushioned tyres and wide tread trolley wheels. 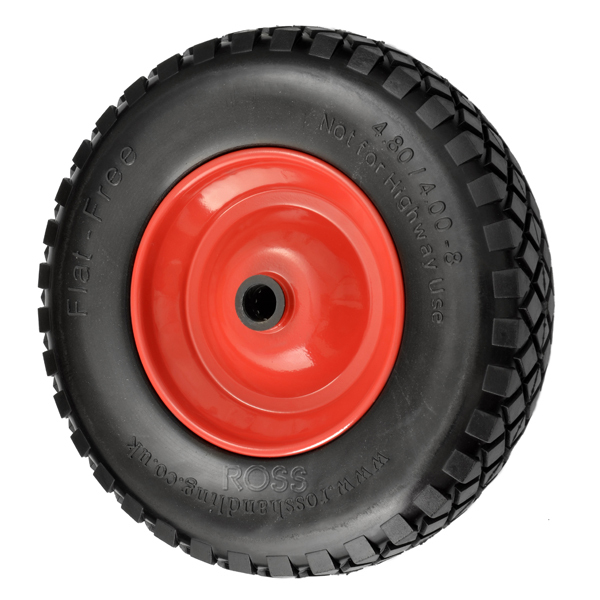 These solid rubber and air filled wheels can be used on a variety of equipment. Our most popular choice is the puncture proof wheelbarrow wheel, which guarantees a flat free wheel. We also offer air filled inflatable pneumatic wheels for outdoor environments. Replacement sack truck wheels, ideal for a range of sack trucks. All available in stock for next day delivery.